Familiarize yourself with the following terms to stay alert and prepared. Severe Thunderstorm Watch - Be Prepared! Conditions are favorable for the development of severe thunderstorms containing large hail and damaging wind. 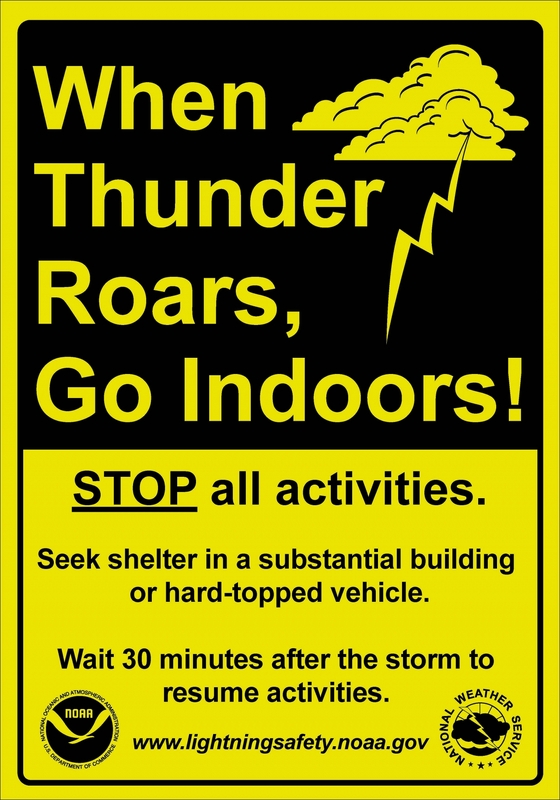 Severe Thunderstorm Warning - Take Action! Large hail and/or damaging wind has been reported by spotters, or is about to develop. Go to a substantial shelter immediately. Avoid handling metal, electrical equipment, telephones, bathtubs, water faucets, and sinks, because electric current from lightning can travel through wires and pipes. Avoid walking through water that has seeped into your home; it may contain hazardous materials. If you are asked to evacuate your home, follow instructions given to you by emergency personnel. Call your local public works department or village hall to report fallen trees or tree limbs, or clogged catch basins. Call your local public works department or village hall to report flooded streets. Avoid downed power lines and broken gas lines. Report them to 9-1-1. Report fallen trees, flooded streets, or damaged public utilities to the proper department. Hundreds of people are permanently injured each year. People struck by lightning suffer from a variety of long-term, debilitating symptoms, including memory loss, attention deficits, sleep disorders, chronic pain, numbness, dizziness, stiffness in joints, irritability, fatigue, weakness, muscle spasms, depression, and more. Lightning is a serious danger. Through this site we hope you'll learn more about lightning risks and how to protect yourself, your loved ones and your belongings.